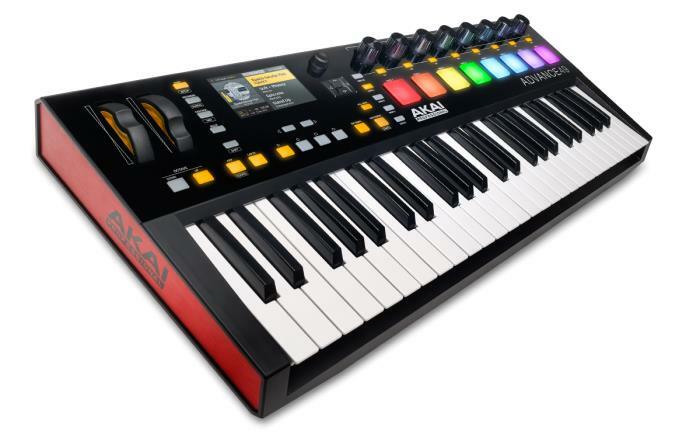 The Akai Advance keyboard range really brings controllers into the digital age with the ability to easily connect to your favourite virtual instruments. The Keyboard is available in 25, 49 or 61 key sizes, all with semi-weighted velocity-sensitive keys. On the unit you'll find 8 endless variable control knobs, 8 MPC pads with RGB illumination, fantastic Pitch and Modulation wheels and countless other fantastic features. The Advance controller runs Akai's new Virtual Instrument Player(VIP) software which hosts all your instruments and can be run either as a standalone or as a plugin in your DAW of choice. Experience expanded control of your VST instrument and effect collection with Advance 49 and VIP3.0 (Free Download Included). VIP3.0 provides you with unparalleled access to your virtual instrument and effect collection, seamlessly integrating the hardware / software experience and grants the unrestricted freedom to create in a user-friendly, intuitive format. The combination of VIP and Advance 49 maximizes workflow and ensures a playing experience that feels natural and enhances creativity – the natural, tactile feel of hardware fused with the unrivalled processing capability of virtual Instruments. Quickly find sounds based on instrument type, timbre, style or articulation from your entire VST library; sculpt immersive, expressive sounds and textures layering up to 8 separate instruments and patches per VIP instance; load up to 4 different VST effects per instrument channel to sculpt the perfect sound; put power into your performance with Pad Chord Progressions and user-friendly Key Control processors; and much more. Thanks to Advance 49’s integrated full colour screen and dedicated hardware controls, all critical information from your VST collection is clearly displayed and edited with ease letting you focus on what’s important – your performance! From live performance to studio production, VIP’s user-friendly functionality coupled with a diverse feature set guarantees simple, seamless integration into your existing setup and provides the ultimate platform for unrestricted creative expression. Akai Professional's Advance Keyboards are like nothing else you've ever played. The Advance 25 gives you unprecedented playability and unrestricted manipulation of any virtual instrument with our exclusive interactive, full-colour display, complemented by performance-friendly hardware controls. Available in 25, 49, and 61 key sizes, the Advance Keyboards deftly fuse the power of software instruments with the live playability of a keyboard workstation, so you can create like never before. The dividing line between software and hardware instruments is finally gone. The Advance Keyboards transform computer-based plugins into an entirely hands-on playing experience. The keyboard surface features an integrated high-resolution full-colour 4.3-inch display, providing real-time control and feedback of all virtual instruments. The screen instantly adapts itself to the selected plugin's controls, delivering immediate 1:1 access to the instrument and various editable functions. Better yet, the Advance Keyboards work with any VSTi virtual instrument. Using the Advance Keyboard's custom-designed Virtual Instrument Player (VIP) software application, your entire VSTi library is controlled by one application. VIP operates as a plugin inside any major digital audio workstation (DAW) or as a stand-alone application on both Mac and Windows operating systems. Included with the Advance 49 Keyboard is the Virtual Instrument Player (VIP) application. VIP gives you immediate access to any virtual instrument in your collection, with or without a DAW-a powerful way to play virtual instruments live or integrate them into a recording session. VIP software users can also create setlists that provide on-demand access to your customized instruments for stage performance and studio work. By simply pressing a single button on the Advance 49, you can adapt to song changes as the live performance progresses-without ever reaching for your computer. That's what you want! 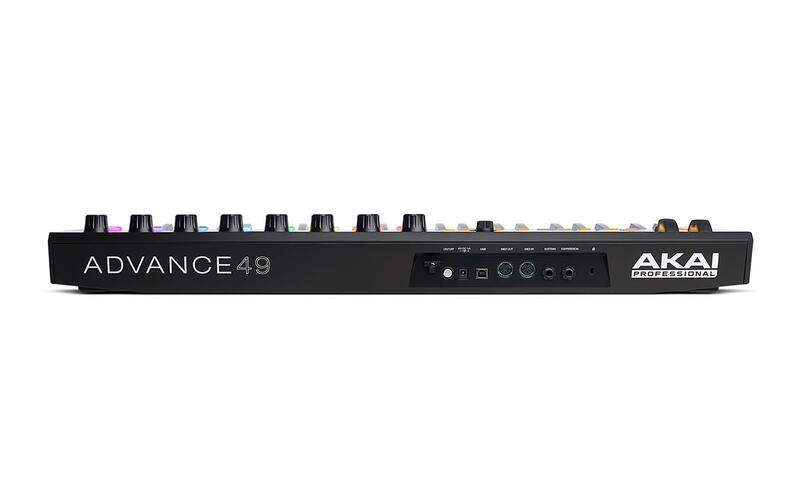 With the Advance 49 Keyboard you get uninhibited access to any virtual instrument in your library without losing focus of the instrument in front of you. Nothing else can do that for you.